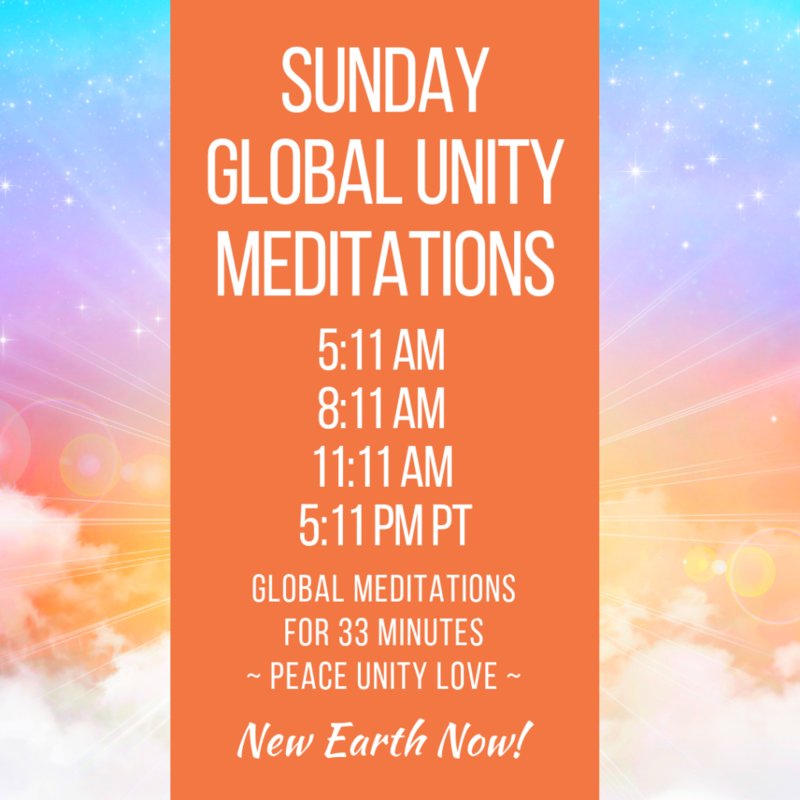 Join thousands for our Global Mass Meditations each SUNday! Where: Wherever you are. Get offline, in nature when possible. 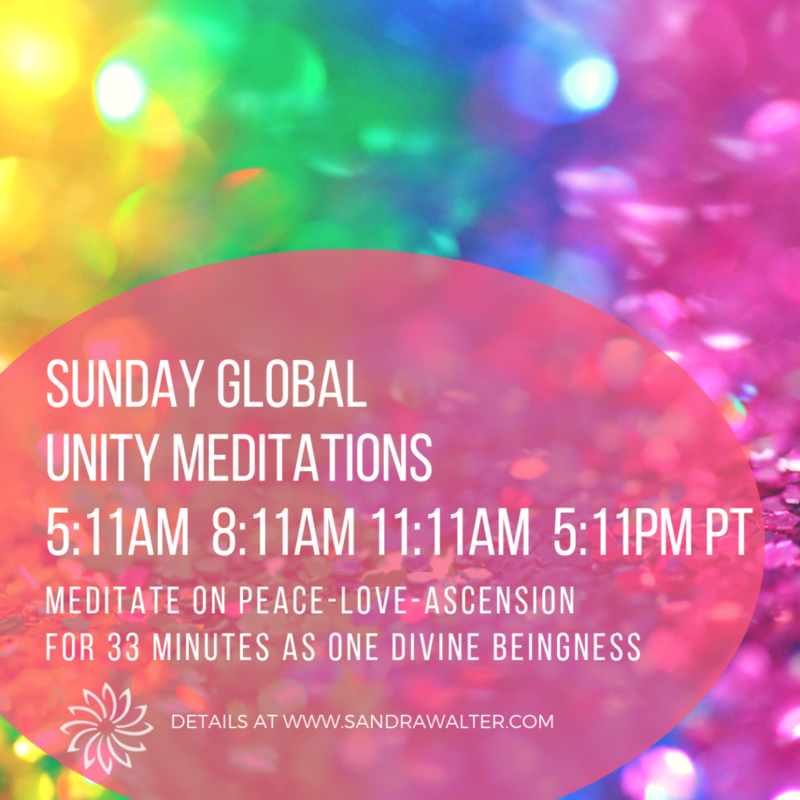 How: Center yourself, breathe and set your intention to connect with all Unity Meditators. Open to serve as a pure conduit for peace, harmony, LoveLight and the acceleration of the Ascension. 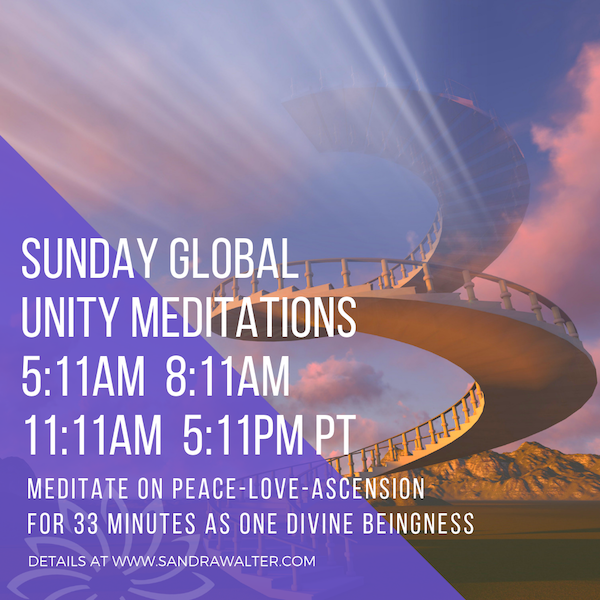 Meditate in stillness for 33 minutes, or use a guided expansion meditation, such as the Christ Light Activation (link below.) If you don’t meditate, simply hold a peaceful vibration and visualize peace, harmony and unconditional love for all of creation. Pray, tone, create; any spiritual practice which amplifies the higher vibration of Unity Consciousness. We have unified every SUNday for three years, and the HUman Heart grid field is very strong. Healing, activation, amplified visions and deep sensations of balance and peace are reported each week. Participate to feel the Light! Collective synchronized mass meditations have scientifically proven positive effects on global consciousness. The feedback on our connections demonstrate healing, expansion of consciousness and acceleration of the Ascension process for both individuals and groups. Let us assist all of HUmanity, Kingdoms, Elementals and beloved Gaia to experience this powerful passage with ease and grace. – Invite your groups, friends and loved ones to participate. – Have an existing meditation group? Move your meditations to SUNdays and feel the amplification. – Talk about the meditations on social media and invite everyone to join in. 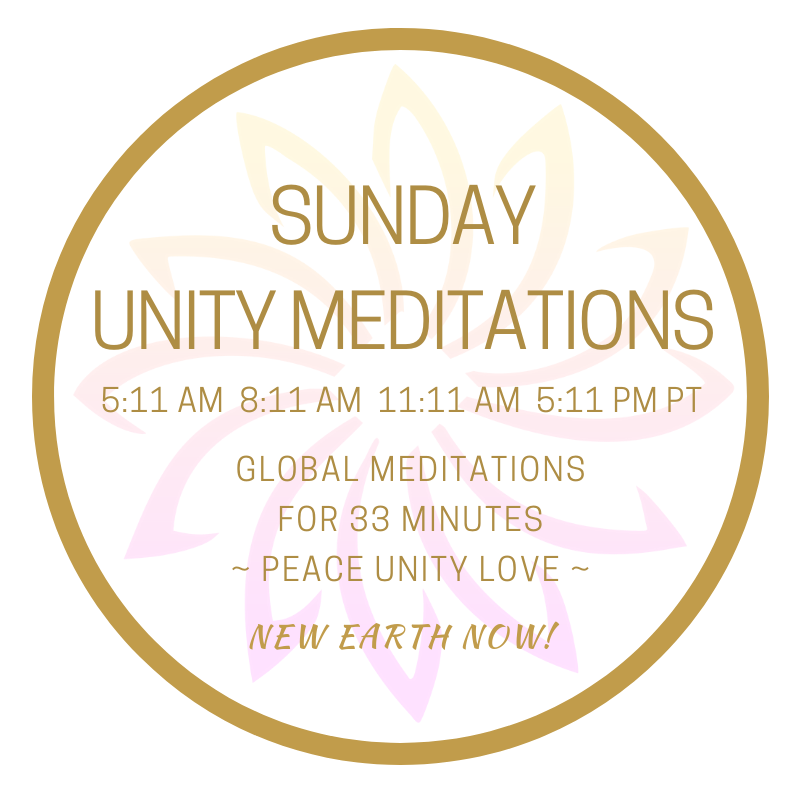 – Create guided meditations, suggestions for peaceful visualization or New Earth Now activities for those who don’t meditate. The key is to raise the collective vibration of Unity Consciousness during these synchronized windows. Downloadable Graphics for Social Media and Websites provided below. Use these, or create your own! Click to enlarge and Save. Sandra has created a training that is clear, thorough, and inspiring. If you are looking to get away from channeled messages and have a more direct ascension experience that is about You, your Higher Self and your personal guidance teams, I feel Sandra provides what you are looking for. My own choices and experiences has blossomed tenfold through this class, as well as my love of self, the planet, and and ALL of the precious life bravely and fully living out their part here at this time. Thank you Sandra.